Scott Millett is an ASP.NET MVP and lead architect for wiggle.co.uk, an e-commerce company that uses ASP.NET. Other Design Practices of Note. How to Read Design Patterns. How to Choose and Apply a Design Pattern. Using an Object Relation Mapper. The User Chapter 9: Experience Layer. Implementing t Chapter 12: he Shoppi ng Basket. 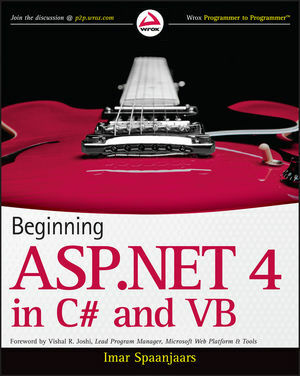 On p.59 it reads: "The ASP.NET Framework version 2.0 is preinstalled with Visual Studio 2010. 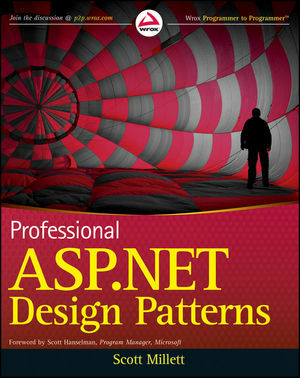 However, for Visual Studio 2008 users you will need to navigate to www.asp.net/mvc/ to install the framework." The context of actual and surrounding text including the link deal with 'MVC' in the above 1st sentence should read: "The ASP.NET MVC Framework version 2.0 is preinstalled with VS.NET 2010." In Table 4-4: Transactions Table.